UTOPIA is the culmination of an integrated project to emphasize the design and production of exclusive, high prestige jewelry with pearls, diamonds and natural stones. Utopia has transposed its traditional quality guarantee from the pearl to the jewel. Unique in style and quality, entirely Made in Italy, each Utopia jewel is sold with its own certificate of authenticity. UTOPIA: the beauty of the pearls unites with the Italian flair. Jewelry that can be worn anytime in any occasion. It is symbol of love and timeless gift. Contemporary jewels express the latest color combinations, keeping alive the refinement & elegance of the Italian style. Fashion and stylish jewels in white gold, white diamonds and Freshwater pearls. Necklace, earring, ring and bracelet with modern design and good quality of raw materials. Elegant every day. Bracelets from this unique collection are one-of-a-kind pieces because of their form, material and size. These bracelets have excellent wearability to a special structural setting. Utopia can also produce a customized jewel based on customer demand. One-off pieces are original expressions of luxury and creativity in limited editions. Combinations of pearls and precious stones have a wide range of shapes and colours to discover new frontiers in the world of luxury. Utopia has a variety of South Sea, Tahiti and multicolor pearls strands in long strands and necklaces. 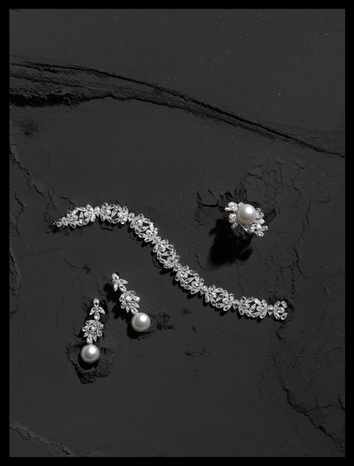 Utopia also creates the pearl strands with changeable clasps. Therefore, the clasp can be chosen by the customer among several type.